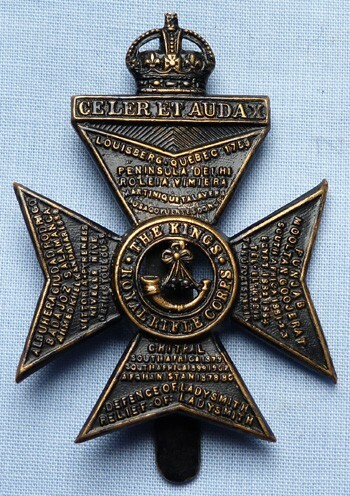 Antique Kings Royal Rifle Corps cap badge. Original c.WW1 British Army King's Royal Rifle Corps soldier's cap badge. Dimensions are 2 inches x 1.5 inches.